A day in London is nowhere near enough. There are arguably more things to do in London than some small countries: I lived there three days a week for 18 months, and have visited it hundreds of times, and I’m still discovering new things to see in London. However, many only have that one day in London. If so, it’s going to be a long and busy day, one that will give you a taste of several flavours of this wonderful, diverse city. But If you plan a day in London right, you can see a lot, from history, culture, architecture and nightlife. Many of Royal London’s sights are concentrated in a small area and you can see many of these London icons in a walk that takes less than an hour. 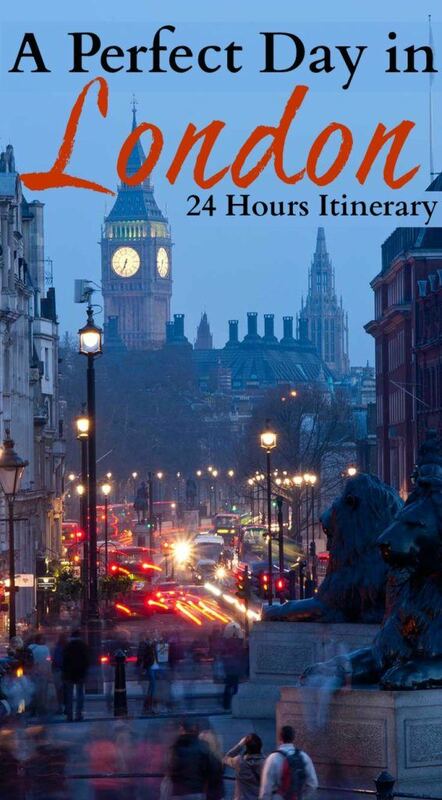 Starts your 24 hours in London at the Parliament Square, which is dominated by the Houses of Parliament on one side and Westminster Abbey on the other. On the north side of the Square, you’ll pass several traditional red telephone boxes, probably the most photographed telephone kiosks on the planet. You can usually make a photo with one of them and the famous clock tower, Big Ben, in the background, but Big Ben is having a much-needed restoration and is going to be cloaked in scaffolding. Turn left onto Whitehall, home to many of the UK’s government ministries, After a few minutes you pass the security gate of Downing Street, where the British Prime Minister officially resides. Continue for a few more minutes until you reach the crowd of tourists taking photos and selfies with the impassive mounted guards. Pass through the gateway into Horse Guards Parade, one of two places in London where you can see the famous Changing of the Guard ceremony, which is usually held daily at 11 am (10 am on Sundays). From here, cross the parade ground and head across the road to St James’s Park, one of the most popular Royal Parks in London. 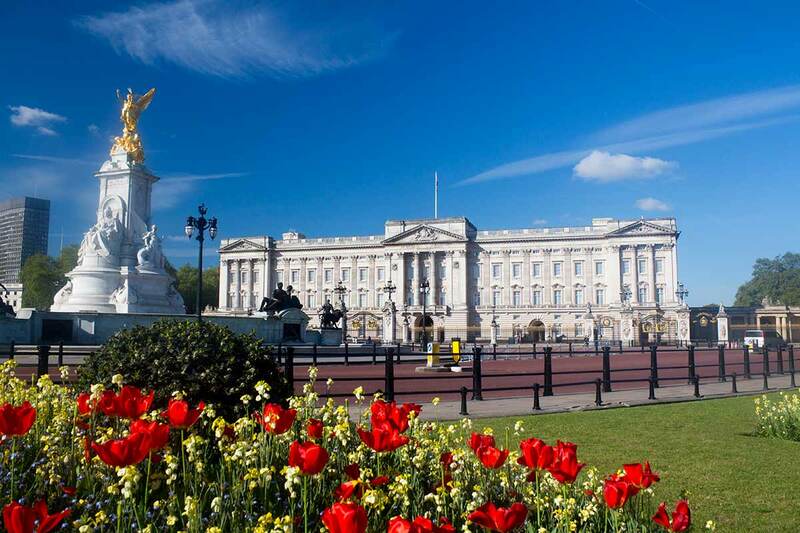 You’ll find The Mall, the historic processional route, on your right, with a view to the left down the avenue to Buckingham Palace, the Queen’s London residence. If you turn right, continue to Admiralty Arch, and after passing underneath, you reach Trafalgar Square. Trafalgar Square is one of the most popular meeting places in London, and is home to the extraordinary National Gallery, one of the finest art museums in the world. 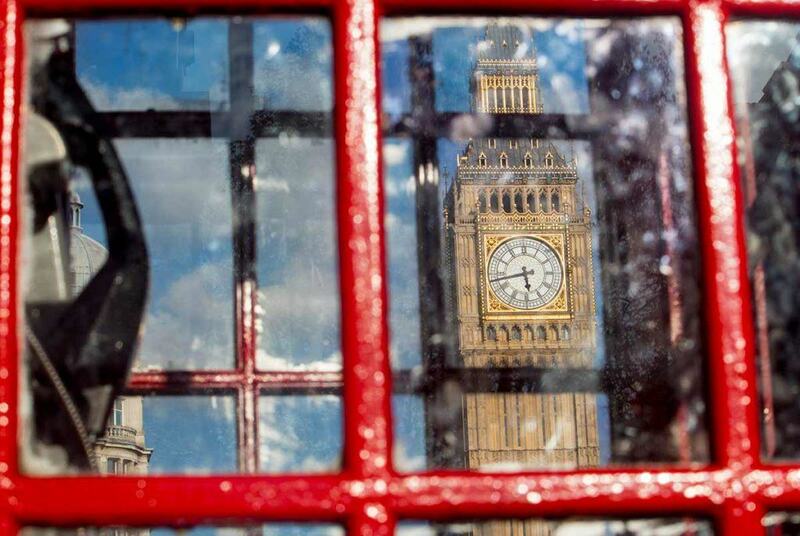 But that can wait – the second thing you must do on your one day in London is to catch the red bus. Walk across Trafalgar Square, passing the famous Nelson’s Column, and head for the bus stops on the left side of the Strand, opposite Charing Cross station. Buses run along the Strand towards the City of London, the financial hub of the UK, every few minutes, but it’s worth the extra wait for one of the old number 15 Routemasters, which ply the route to St Paul’s Cathedral. It’s one the last of the old heritage routes, the buses are much older than the new models, and you’re even greeted on board by a bus conductor. I know you only have a day in London, so waiting for a bus is not the best scenario, but don’t worry, you’ll be reward with a unique journey. Stay on board until your next suggested stop, right outside St Paul’s Cathedral. St Paul’s is one of the great icons of London. It was built in the late 17th century after the City of London was destroyed in the 1666 Great Fire, and for centuries its great dome dominated the London landscape. It’s now overshadowed by the myriad skyscrapers of the City of London, but this is one of the absolute London must-sees you cannot miss. The interior is all glittering gold, the finest example of Baroque architecture in the UK. 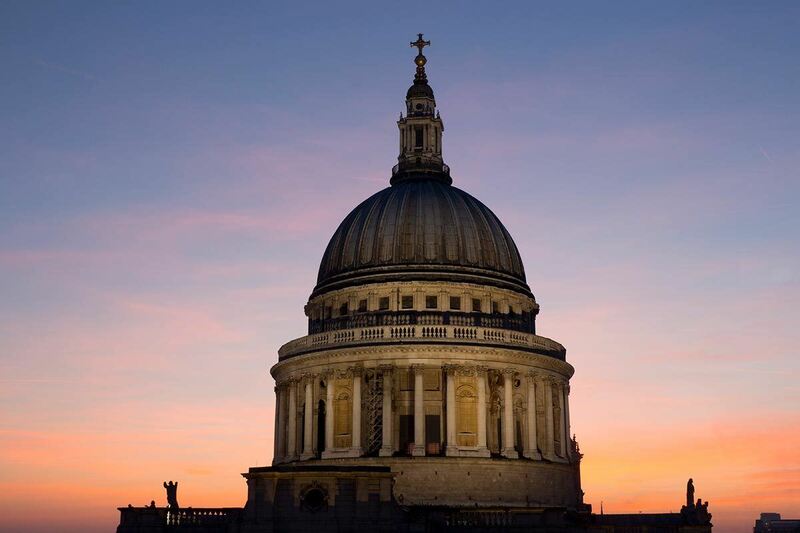 The dome is awe-inspiring from the inside, and you can climb to the Whispering Gallery, high above the church, and outside to the top of the dome for an amazing view over the metropolis. There is also a pretty fantastic view of the dome from the sixth-floor rooftop bar at One New Change, a shopping centre across the street from St Paul’s. St Paul’s is one of the best-known landmarks of the City of London, the financial and business district on the north of the river Thames. And it’s well worth a walk through the area to see some of the best sights in London, both old and new. The Tower of London is a fortress built almost a thousand years ago overlooking the river, and it’s still as formidable as ever. 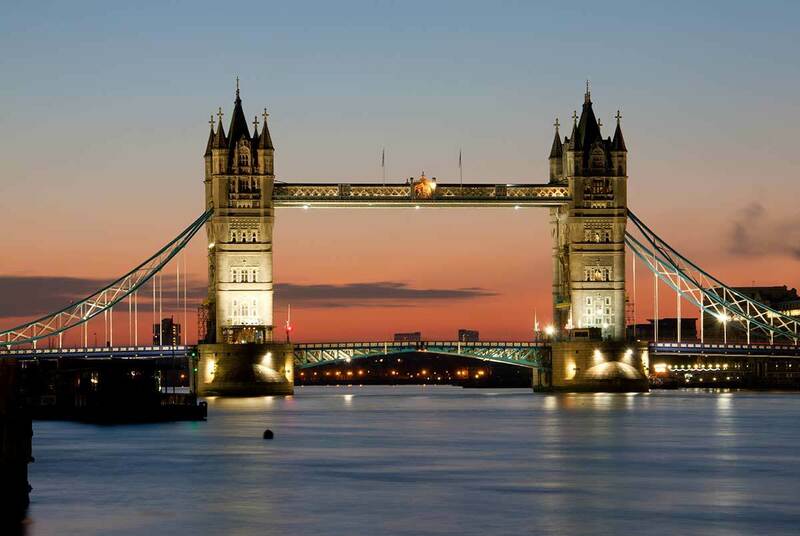 From the grounds you get a great view of Tower Bridge, one of the most recognisable and beautiful bridges in the world. London’s skyline is unrecognisable from when I first saw it over thirty years ago, and a great way to see it is to walk across Tower Bridge. The Shard dominates the skyline, looking down on the City from across the river. In the City itself, various towers have sprouted up over the last twenty years or so, each with their own nickname, with the Gherkin, Cheese Grater and Walkie-Talkie all recent additions. The City is also close to two very popular areas with tourists – the nightlife of Shoreditch and the curry restaurants and street life of Brick Lane, a short walk away in Spitalfields. Whatever your taste, London has some of the world’s finest art galleries. And realistically, with so much else to see in London in one day, you’re only going to be able to do some kind of justice to one gallery. So you have a choice. If modern and contemporary art is your thing, the place to go is the Tate Modern, on the south side of the river – you can walk across the river on the Millennium Bridge from just outside St Paul’s. The museum is housed in a vast former power station, which works wonderfully as a venue, especially for large installations. Otherwise, return from the City on the 9, 11 or 15 bus to Trafalgar Square for an hour or two at the National Gallery. It has so many outstanding, world-famous works of art, and I used to visit one section at a time to give myself a chance to absorb everything I saw. As you’re time limited it may be a good idea to do the same. The Gallery is currently hosting an excellent exhibition called Monet and Architecture. After seeing everything I’ve suggested you almost certainly need a quiet evening to rest and recuperate from your busy day in London. No chance. London’s West End – a mixture of theatres, cinemas, music venues, restaurants, pubs and clubs – is one of the best places in the world for entertainment, and you simply can’t skip it. 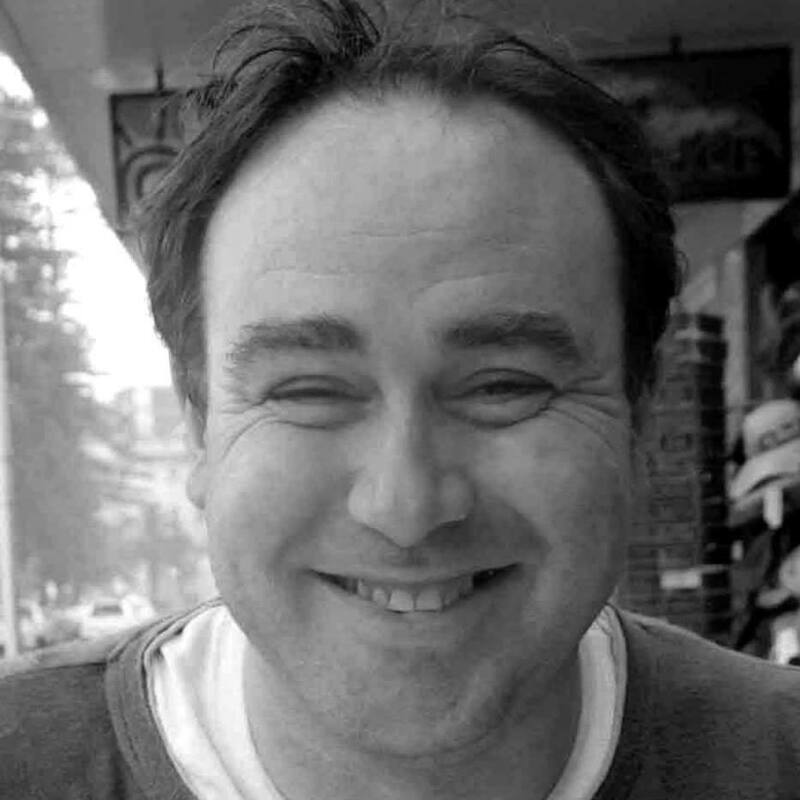 There are always at least twenty musicals on at any one time, and it’s usually possible to pick up last-minute tickets if you haven’t done so already. Some of the best places to eat in London are close to Shaftesbury Avenue, the main street running through Theatreland. Chinatown is one side of the street, while you can try out a whole multitude of cuisines the other side of the avenue in the side streets of Soho. If your 24 hours in London is almost ending grab a delicious food, drink your last pint and start planning your next visit. A day in London will only sparkle your wanderlust and I’m sure you’ll need to come back for more. After a long day in London, you might need to stay close to the airport? Here are some suggestion: hotels near Stansted Airport, hotels near London Gatwick Airport, hotels near London City Airport, hotels near Heathrow Airport and hotels near Luton Airport. Or keep searching for the best accommodation in London on Booking.com or Agoda. You can check his blog delveintoeuroepe.com and follow him on Facebook and Instagram.